Registration for BJE Teen March of the Living is now open! 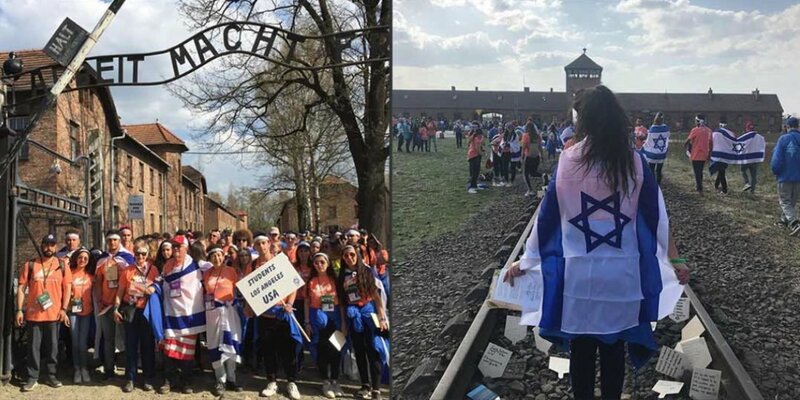 The BJE March teaches powerful lessons of Jewish history and personal Jewish identity with a profound impact on participants. On Holocaust Remembrance Day, the Los Angeles delegation, along with thousands of people from all over the world, march from Auschwitz to Birkenau to remember the lives lost during the Holocaust. In Israel, programming gives participants the opportunity to see the incredible accomplishments and advancements the Jewish state has made since its establishment. BJE March of the Living, will depart Los Angeles next year on April 29, 2019, Admission is on a space available, first-come basis for qualifying students. Applications are accepted until Friday, Novemebr 2, 2018. However, there is no guarantee that spaces will remain available until that date. For more information on the teen trip, please contact Maya Aharon, Director, BJE March of the Living at (323) 761-8611.